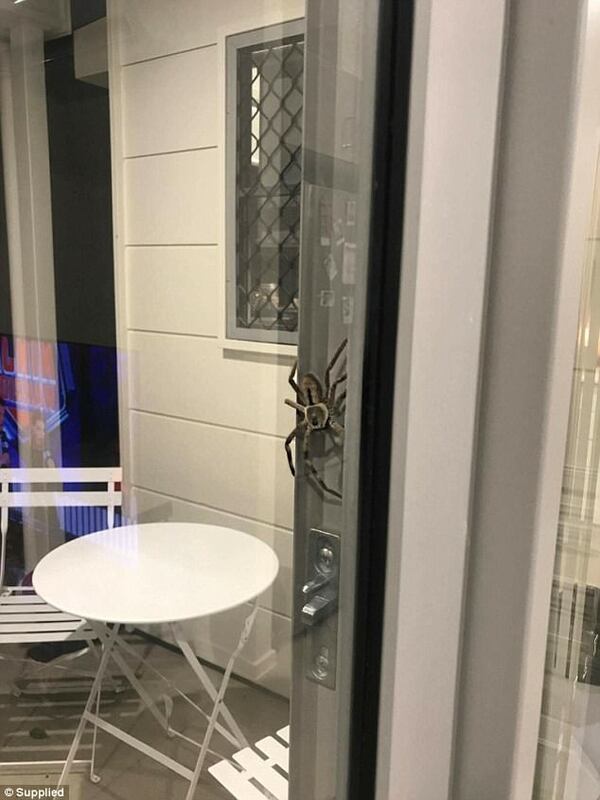 An enormous spider has given a couple an almighty fright as it appeared on their glass door as they were trying to cook food. 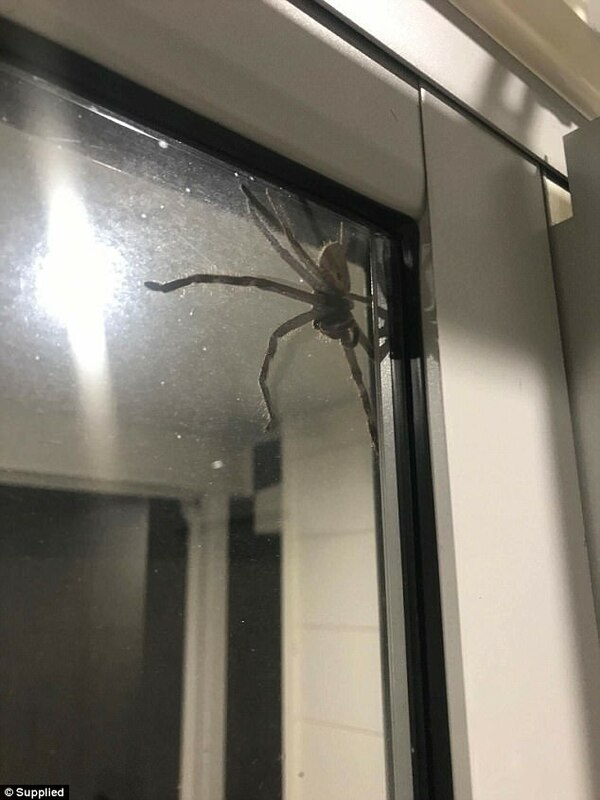 Lauren Ansell from Mount Coolum in Queensland posted a photo of a monster huntsman spider nicknamed ‘Aragog’ that appeared on the outside of the window where her partner was attempting to cook dinner. 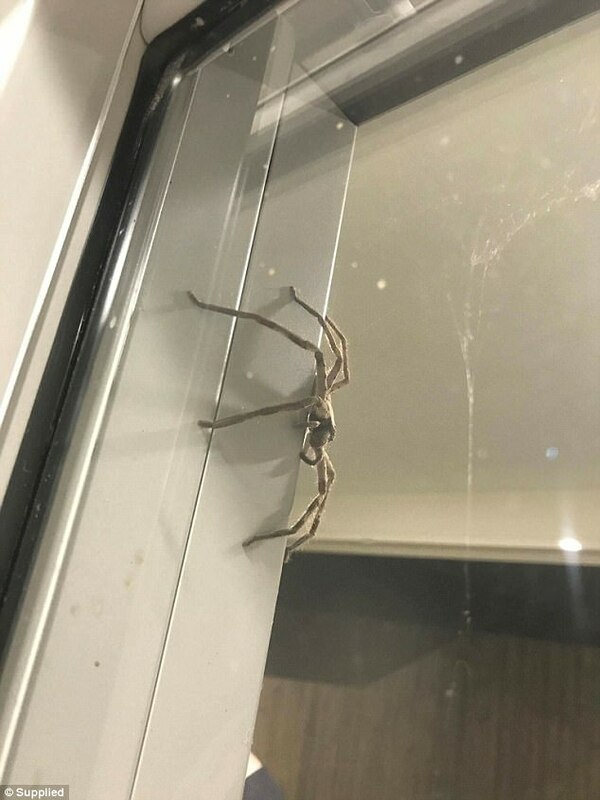 Ms Ansell said the spider appeared harmless, but did not take kindly after the pair attempted to move it from the glass. ‘My partner was on the outside trying to cook our food. We didn’t want to kill it, but it didn’t like us for trying to move it along,’ she told Daily Mail Australia. Ms Ansell said once she posted the photo of the spider on her Facebook her friends could not believe what was pictured. Since the post the spider has found a new home and the couple have not seen it since. ‘It’s in the garden and we haven’t seen it since,’ she said. BIZARRE! LITTLE HOUSE INVADING “ALIEN” CREATURE CAUGHT ON CAMERA!